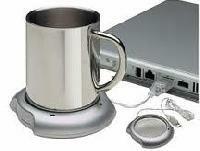 Coffee Warmer is easy and efficient way to heat the Coffee. 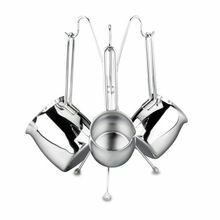 It is made of shining metal which not only enables a quick heating of the coffee but also give a beautiful look to the Warmer. 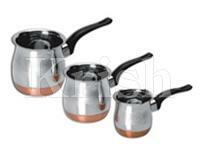 The Coffee Warmer has long insulated handle which makes holding of the warmer easy. 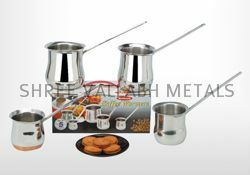 Our Coffee Warmer is available in different shapes and sizes as per the requirements. 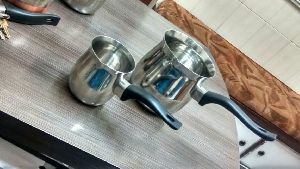 It is inspiring to put in the extra hours at work when you know the warmer is keeping you motivated as it keeps your coffee warm.Aided with a suitable handle it is the best gift for people with desk job. 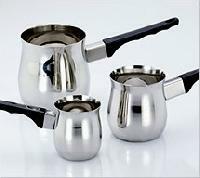 What better way to perk up your day than with a cup of steaming coffee heated in Varun's attractively designed Warmers. 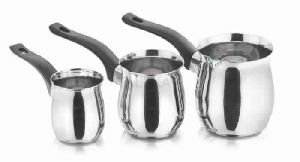 Winning properties : StainlessNon reactiveKeeps warm longerEasy to handleEasy to cleanAttractive and affordable Ideal For : Homes Restaurants Hotels. 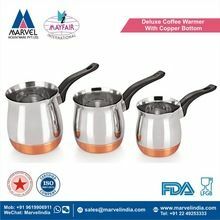 Stainless Steel Coffee Warmer , which we offer, is produced using quality Stainless Steel material that is sourced from reliable Vendors in the domain. 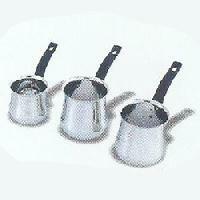 These Stainless Steel Coffee Warmers are available in various capacities, catering the needs of the customers. Also, these Stainless Steel Coffee Warmers can be purchased from us at economical rates. 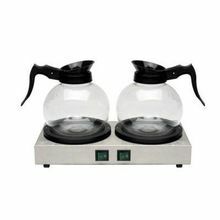 We provide a large range of superior quality Coffee Warmer that is used to warm the coffee. 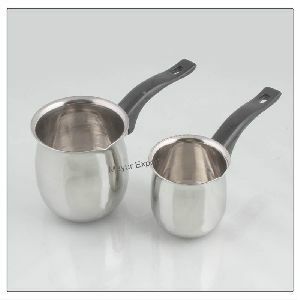 Long heat resistant handles assists is safe warming of coffee. 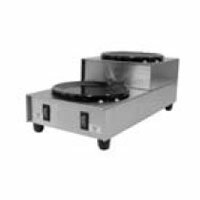 Our Steel Coffee Warmer is easy to clean and needs low maintenance cost. 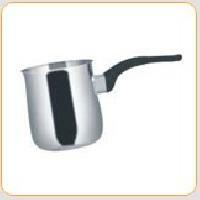 We are well reckoned as one of the supreme Coffee Warmer Pot Manufacturers and suppliers based in India. 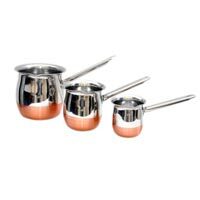 We are offering coffee warmer etc. 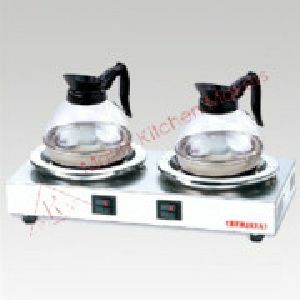 We are leading supplier of huge range of Coffee Warmer. 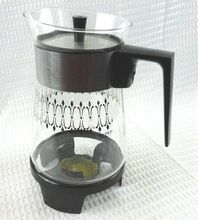 We are offering Coffee Warmer. 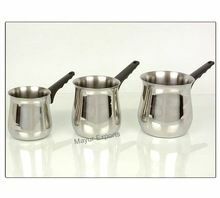 We are offering coffee warmar, sliver touch, coffee warmar with black light handle.